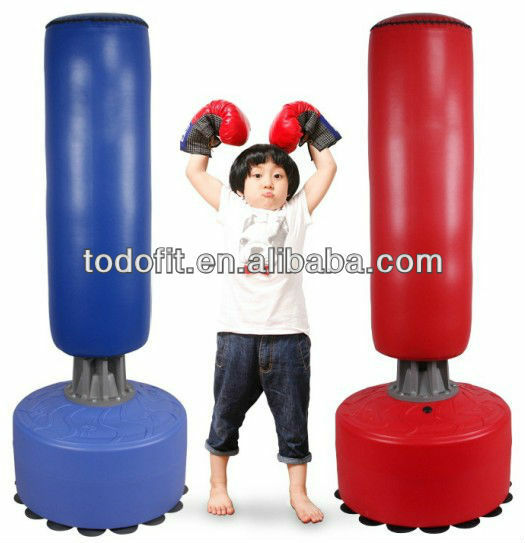 Custom and Cheap TODO freestanding heavy Bag,Dummy Boxing Stand,Boxing Punchig Stand Supplier and Manufacturer.--Yongkang Todo Hardware Manufacture Co., Ltd.
Boxing Stand is for all kinds pf boxing exercise. Boxing Free-Standing Punch & Kick Tube provides a versatile target with a durable vinyl cover, without the hassle of hanging a traditional bag. Extra wide base for increased stability when filled with either sand or water. Fully height adjustable. The durable vinyl covering makes it an ideal product for in the garden during the Summer, if we get one! Excellect quality and reasonable price. Look forward to cooperation to achieve win-win stiuation. If in doubt,demand,please contact me.